Completely new look for a native grass! 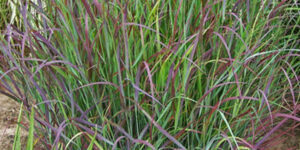 We are big fans of grasses in the landscape. They add rich texture, fun movement and grand style wherever they are planted. 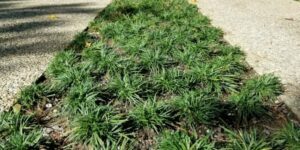 There are hundreds of grass options to choose from, but it seems that you only see a handful when you drive around your neighborhood. Something to excite the garden. Something to shock the neighbors. 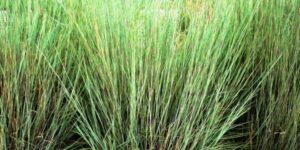 It’s time for Blonde Ambition Blue Gamma Grass (Bouteloua gracilis ‘ Blonde Ambition’). Blonde Ambition is a bigger version of our native blue Gamma Grass. The base of this beautiful grass is blue-green foliage. In mid-summer 3 foot tall spikes of showy chartreuse-colored flowers rise up on stiff stems that hold up through all kinds of weather. 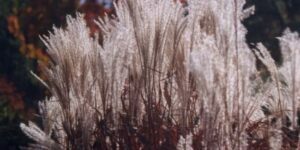 (This includes heavy snow, which means that you have 6-8 months of garden texture and color from these great plants.
) 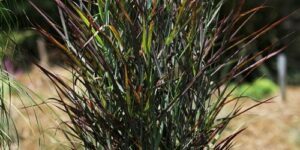 The flowers are held horizontally above the leaves in an eyebrow fashion unlike any other ornamental grass on the market today. 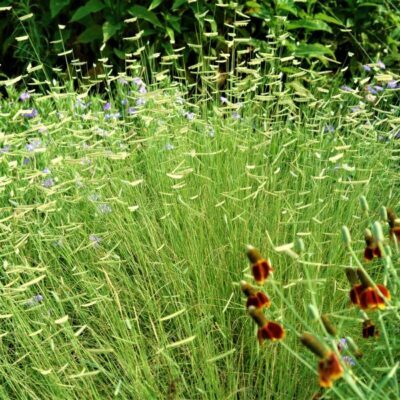 This is an extremely cold hardy grass and grows in almost any soil. Blonde Ambition is native to 26 states and performs well almost everywhere else, so we’re sure that it will fit into your garden. 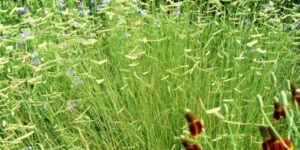 Add this beautiful low-maintenance, water-wise grass to your landscape for carefree style and a fresh new look. It looks great in any style garden from contemporary to rustic. Give Blonde Ambition a chance. 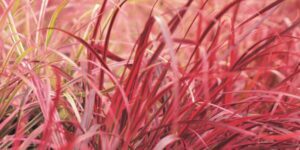 We think it might just be your new favorite ornamental grass, too!